The gym and fitness business world moves fast. If you think that’s the understatement of the year then this blog is for you. Because we know how difficult and time consuming it can be to stay on top of all the latest gym and fitness business industry news and trends, we decided to put this list of industry podcasts together. These podcasts aren’t about eating right or how to squeeze in those last few reps, they’re focused on running a gym or fitness business. Between the four of these podcasts they cover a full spectrum of fitness business related topics such as retention, increasing revenue, the latest in software, interviews with important industry voices, and more. If you've never listened to a podcast before, that's ok! Podcasts have been around for a while now, but they still feel out of reach for some. If you think of it this way, a podcast is just a prerecorded radio show that listeners can download whenever they desire. How to listen to podcasts on iPhone/iPad and Apple computers. How to listen to podcasts on Google Play (Android). The podcast must be updated regularly. Listening to podcasts can be a great way to spark new ideas, confirm things that you’re already doing are best practices, or even as a support group to let you know that others are out there going through some of the same ups and downs running a gym or fitness business as you are. 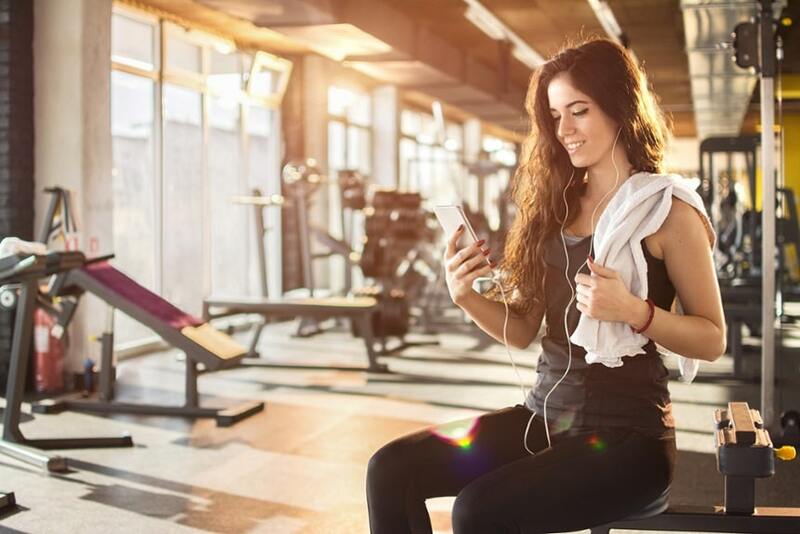 We also love these gym and fitness business podcasts because you can get so much information in such a short amount of time. Just listening to one episode a day is about 45-minutes to an hour of free ideas and education. Bonus: You can actually speed up podcasts so they play at 1.25x - 2x the speed which means you can vacuum up even more knowledge in shorter amounts of time. However, we definitely don't recommend the 2x setting unless you're a huge Alvin and the Chipmunks fan. Go ahead, give these podcasts a listen while you’re doing the dishes, cleaning out the car, exercising, or completing any other task that may have normally had your ears filled with Green Day or Beyonce. If we haven't included your favorite fitness business related podcasts, please let us know! Description: Focused on a combination of business, fitness, and technology. Note: We are a bit partial to this specific Fit-C podcast episode as it features our very own VP of Sales, Marty Regan! In this episode Marty focuses on ways to increase retention at your gym or fitness business. Check it out below! Description: For fitness business owners focused on growth. Description: A business podcast for fitness entrepreneurs, gym owners, and more. Description: Explores the world of business development in the fitness industry. Specifically geared towards personal trainers and those that have personal training as a business component. If you had a chance to listen to the Club OS Podcast on FIT-C and want to learn more about how Club OS can help your gym or studio, or if you are just interested in what Club OS has to offer, click below!